Posted March 14th, 2019 at 8:01 pm | Log in to reply. This recipe was just perfect! I was looking for a simple, savory, vegetarian dish and this definitely hit the spot! 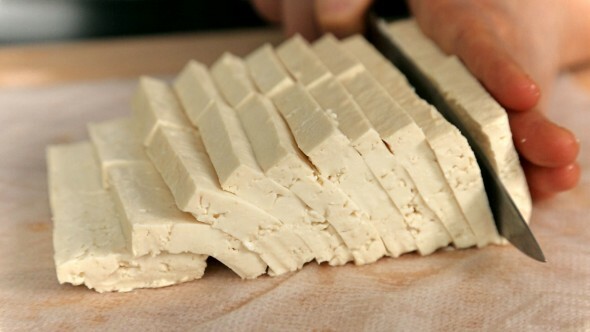 This was a very satisfying g tofu dish. Posted January 11th, 2019 at 5:54 am | Log in to reply. I am new to korean food, I had it first time when i moved from India to Hongkong and i love Korean food. 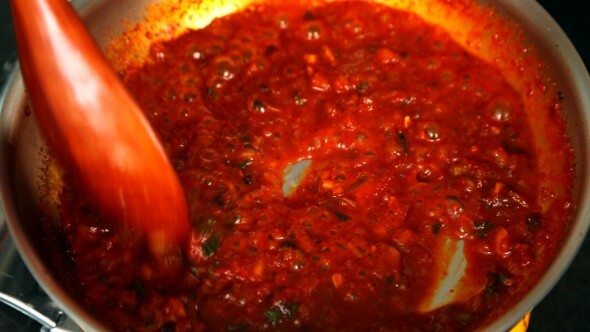 I have watched your so many videos have started cooking few. 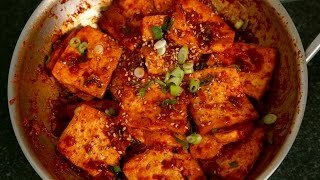 I tried making spicy braised tofu it taste so yummy. Posted January 13th, 2019 at 11:07 am | Log in to reply. “… open up a new world of taste for people like us.” Yay, I’m so happy to hear that! You made it very nicely! Posted January 5th, 2019 at 6:37 pm | Log in to reply. Made this today, unfortunately didn’t have any green onion still came out yummy! I’ve been following you for many years and cooking your recipes thank you so much! Posted December 24th, 2018 at 1:30 pm | Log in to reply. Hi Maangchi!! I’ve been watching your videos for about a week. LOVE YOUR CHANNEL! 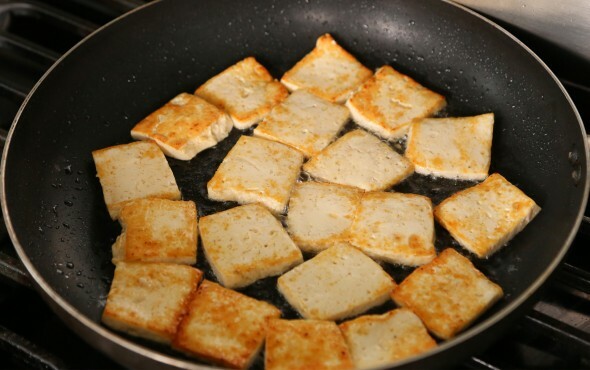 I decided to try this dish because I have never had tasty tofu. I am so very glad I did. So good. I have made all my friends watch your videos and they have tried out a few as well! Thank you so much. Posted December 28th, 2018 at 5:17 pm | Log in to reply. I’m happy to hear that you liked this recipe! 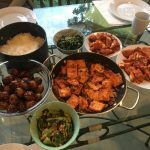 Continued success in Korean cooking! Posted September 30th, 2018 at 5:03 pm | Log in to reply. Posted October 6th, 2018 at 3:28 pm | Log in to reply. What great choices for a Korean food party! All look delicious, colorful, and generous! Posted September 1st, 2018 at 6:00 am | Log in to reply. Hello Maangchi, I am from Romania and I have been following your channel for some time now. I have made a few of your recepies before, but forgot to take pictures to post them. 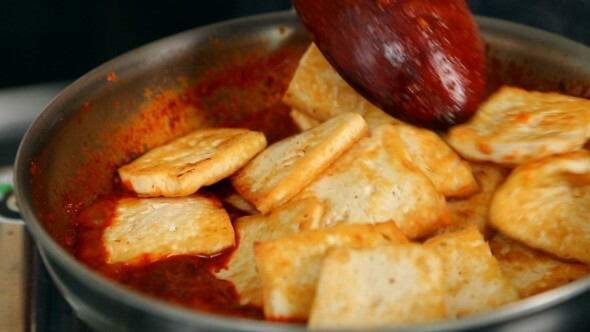 Today I made the braised tofu one and snapped a picture of it. It is also my first time posting on your site. Love you and will wait for more recepies in the future. Posted September 5th, 2018 at 9:25 am | Log in to reply. Posted August 29th, 2018 at 2:01 pm | Log in to reply. Made this earlier, and when some of my neighbors and our landlady tried a piece, they said they loved the taste and the meaty texture. 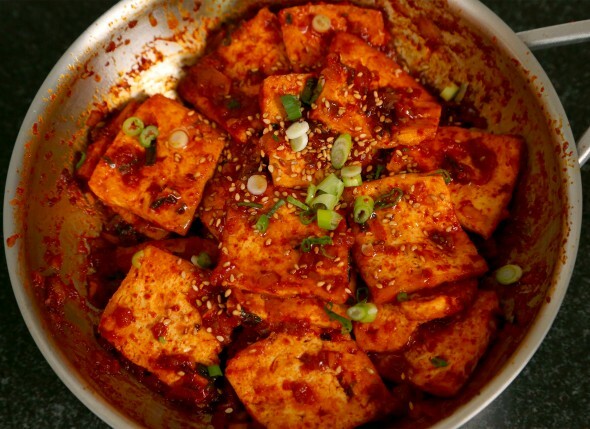 It tasted great even if I used soft tofu (찌개용). Posted September 5th, 2018 at 9:07 am | Log in to reply. Awesome! Continued success in Korean cooking! Posted August 12th, 2018 at 7:10 pm | Log in to reply. Omg! So delicious. 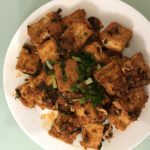 Vegetarian food is time consuming sometimes and here is this tasty, simple and long lasting dish. I don’t know how I have survived without it. Thank you Maanngchi for sharing these recipies. 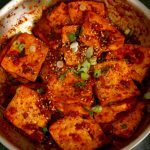 My husband is Korean and I am Guatemalan and its nice to be able to cook with him his favorite dishes. Posted July 21st, 2018 at 9:33 pm | Log in to reply. After 3.5 years of living in Korea and now moving back to the US, I was craving this. It turned out really well and my family liked it too! Posted August 2nd, 2018 at 8:52 am | Log in to reply. That’s a great choice of these 2 side dishes with rice. It’s a well-balanced, healthy, delicious meal. Posted July 1st, 2018 at 6:15 pm | Log in to reply. Made this today and it was delicious. All of your recipes are delicious and easy to make. Thank you for sharing the. Posted August 2nd, 2018 at 8:53 am | Log in to reply. Posted May 13th, 2018 at 6:57 am | Log in to reply. 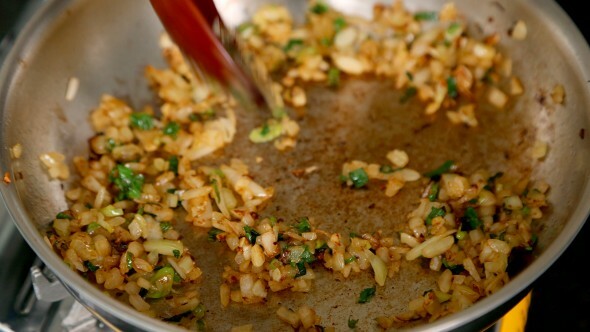 Hello Maangchi, we have cooked it many times and we love it! 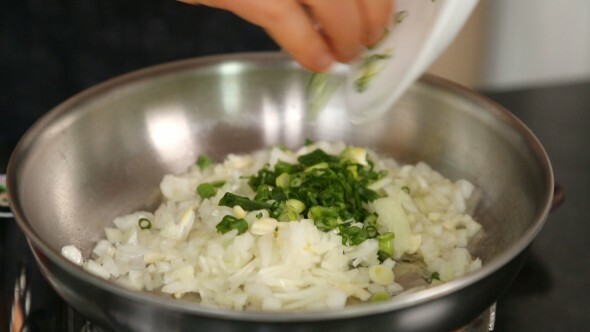 Wonderful recipe, easy to cook! Posted June 2nd, 2018 at 3:42 am | Log in to reply. Posted January 27th, 2018 at 2:54 pm | Log in to reply. The video was watched 2,536,736 times on YouTube & has 53,032 likes!